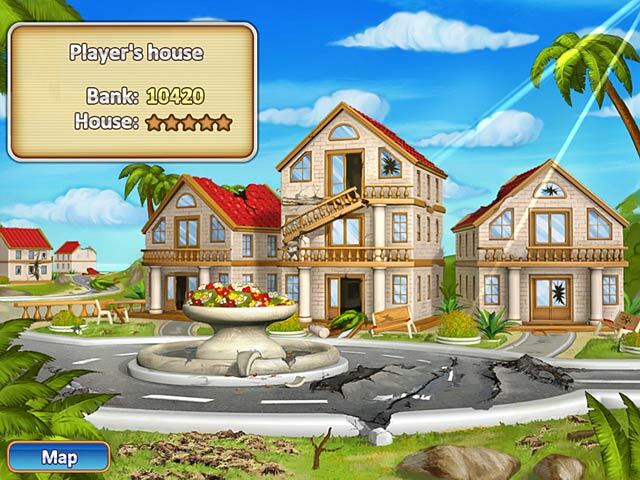 Rebuild the devastated islands as you take control of the Rescue Team in this fantastic Time Management game! After a terrifying tornado leaves storms through the islands, it's up to the Rescue Team to save the day and save lives. 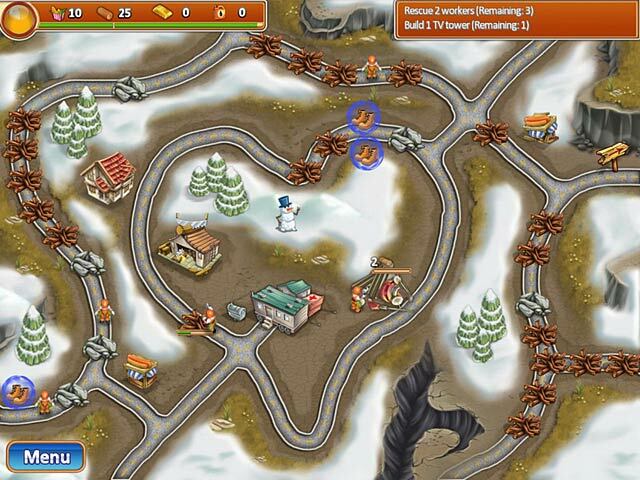 Use strategy to figure out the quickest way to complete your goals, and then race against the clock to remove debris, repair bridges, put out fires, and protect the civilians in Rescue Team 2! Rescue Team 2 is rated 3.9 out of 5 by 34. Rated 5 out of 5 by GJMcG from LOVE Rescue Team Series! I have now purchased and played all of the games in the Rescue Team series, and that obviously means I love them! At the time I'm writing this they are up to Rescue Team 6, and I keep checking to see if they've released new ones. I am VERY picky about my games. I don't often bother to submit reviews, but these are so good that they deserve it! As with a lot of games, they improve and evolve throughout the series, but I enjoyed even the earliest versions. 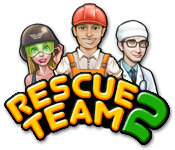 Rescue Team doesn't have much of a storyline, but each level and each new release offers new goals and challenges. Even when some things are repetitive I don't get bored. It is a real battle to earn 3 stars on every level. I had to replay some of them MANY times before I managed to get 3 stars... and I even had to watch the experts on YouTube to figure some of them out! You occasionally run into goals that require you to perform some actions in a linear order. If you don't, you won't have enough supplies to continue. But that is pretty rare and only true for a portion of the level. For the majority of the game you have total control in deciding which buildings to build, and when to tear them down and replace them with something different. If I had one complaint it would be the way they display the achievements. That aspect could definitely use a lot of improvement. But that doesn't affect the excellent gameplay. WARNING: This game is addictive!!!! 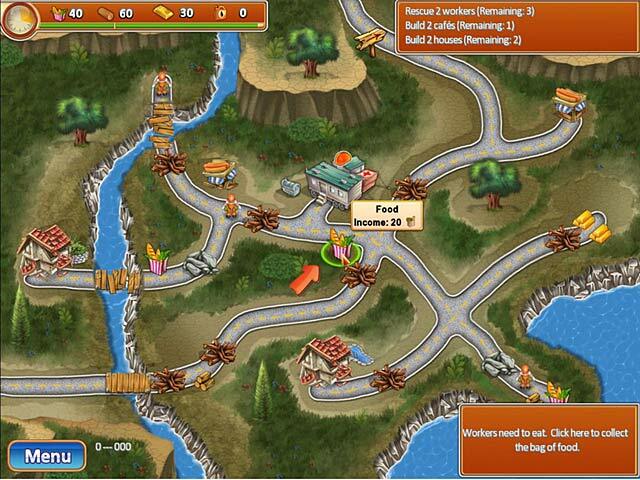 Rated 5 out of 5 by ndeletari from Rescue Team 2 Excellent game, with many levels. I wish there will be more rescues!!! Rated 5 out of 5 by MermaidWishes from Just as fun as the first with fun new additions I am really pleased with the graphics, there was some improvement from the first, love the addition of the medical staff and hospitals...you'll have to play it to discover the rest of the fun things that were added... :D! And you will have to really think out your strategy on a lot of these levels! You will have fun with this one! Rated 5 out of 5 by holyj75 from Fun Strategy game Maybe a little too easy if it was a little more difficult may have a little more challenge. Rated 5 out of 5 by Qwiz from Love it Wish it had more levels, otherwise love it! Rated 5 out of 5 by JTYorke14 from A very challenging game! This game has my attention 100 percent of the time while playing. I've had this game for a few days now and it's one of the first time management games that really have challenged me enough to repeat levels multiple times to beat my record. Graphics: The graphics are really well done. They are colorful, realistic, yet playful. Everything is very smooth. Challenges: Whether it's clearing debris, fixing roadways, rebuilding houses, this game has many different levels and different types of challenges. Great game! Rated 5 out of 5 by sweet_mamie_J from Fun I thought this game was alot of fun but should have been longer. Rated 5 out of 5 by SmokeyMtnLinda from Love this fun TM game! Great Time Management game, with a lot of replay value. I do wish it was longer, but I guess it's because I really enjoy playing it so much. 2 RT games down and looking forward to a 3rd in the series. Highly recommend, whether playing relaxed or challenge.